LONDON, -- Thales Announced today at DSEI that it has signed a contract with Global committed, a company within the Weststar Group, to supply the Malaysian Armed Forces with ForceSHIELD, the Thales integrated Advanced Air Defence system. 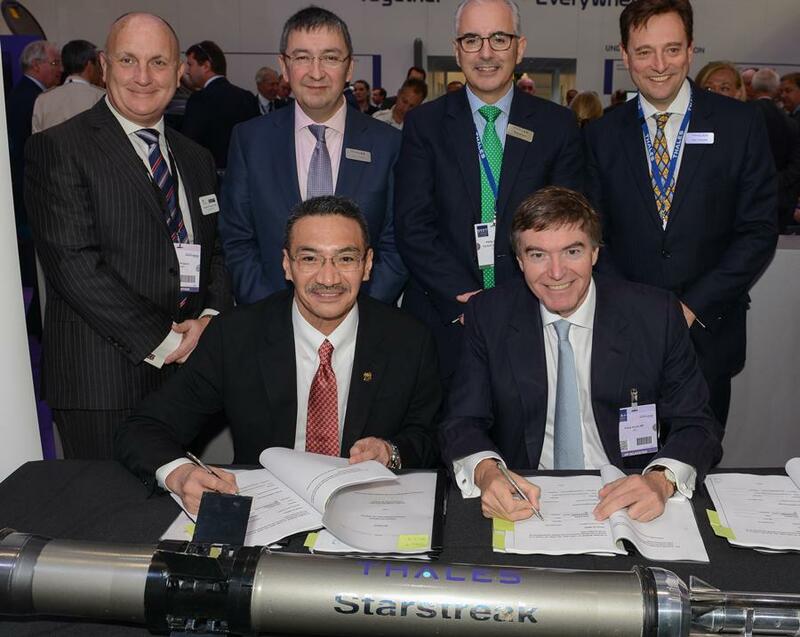 The Starstreak missiles and launcher systems are manufactured in Thales's facility in Belfast and the CONTROLMaster by Thales in France. This significant purchase by the Malaysian Armed Forces will increase of jobs in Belfast and develop high value-added jobs and skills sets in Malaysia through a program of technology transfer. 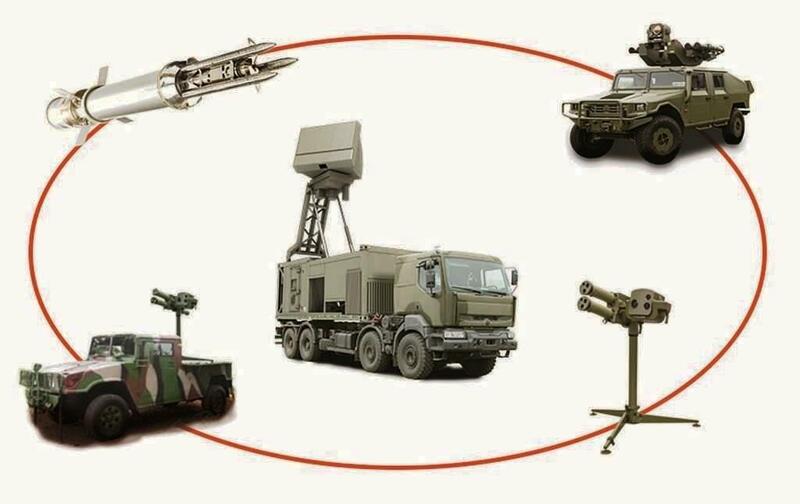 The purchase of ForceSHIELD will enable the Malaysian Armed Forces to replace and Enhance the previously commissioned Thales starburst missile system, the which has been in service since the mid 1990's. The Starstreak missile utilizes the proven principle of 'high velocity' to Defeat threats with short unmasking times. The three-dart configuration maximizes the lethality and highly accurate laser beam riding guidance enables engagement of small signature targets. Victor Chavez, CEO of Thales UK, said: "I am delighted that another country has Decided to buy ForceSHIELD. This latest-generation sensors to effectors solution will give Malaysia a world class, cutting edge capability. Increasing our export sales is a key part of Thales' growth strategy and today's news marks another milestone. "Thales's ForceSHIELD solution is based on customizing and combining a range of product lines such as radars, communications, engagement and fire control systems, launchers and missiles to meet front-line users' needs. This approach Provides highly-effective capabilities for its customers to meet the increasing array of asymmetric and conventional water threats in today's security environment. The CONTROLMaster200 comprises the latest generation of solid-state radar, capable of detecting and tracking 200 targets simultaneously out to ranges up to 250km. It incorporates the CONTROLView engagement control system that evaluates threats, assigns weapons, and coordinates the combat management activity - enabling complex and critical decisions to be made faster and with greater precision and security. The RAPIDRanger is a unique lightweight vehicle-based launcher and fire control system , the which can be integrated into a network-enabled force structure and coordinated with a variety of Command and Control systems. Equipped with the Starstreak high-velocity missile, RAPIDRanger has the ability to Defeat a wide variety of water threats, Including ground attack aircraft, pop-up Attack Helicopters, Unmanned Aerial Vehicles (UAVs) and cruise missiles. The LML NG system can be based on a tripod or vehicle mount and supports the swift deployment of Starstreak with 24hr capability. It provides two missiles, the which are ready to fire, and Allows the system to deal with water saturation attacks and Provides a complimentary surface to surface capability. The manportable system is designed to suit a wide range of missions from lightweight rapid reaction operations roles to air droppable. The Starstreak missile operates at a speed in excess of Mach 3 to Defeat fast-moving threats and Reviews those with short unmasking times. The three-dart 'hittile' configuration maximizes lethality and the highly-accurate laser beam riding guidance enables engagement of low-signature targets and is immune to all known countermeasures. Thales is a global technology leader for the Aerospace, Transport, Defence and Security markets. With 61,000 employees in 56 countries, Thales Reported sales of € 13 billion in 2014 with over 20,000 engineers and researchers, Thales has a unique capability to design and deploy equipment, systems and services to meet the most complex security requirements. Its unique international footprint Allows it to work closely with its customers all over the world. The general organization of the Thales Force Shield air-defense system sold to Malaysia.